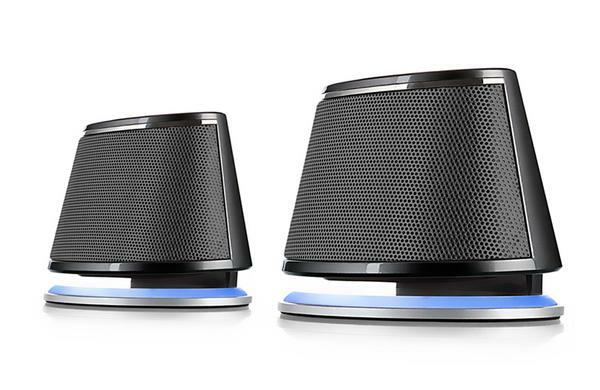 Satechi has released a new stereo speaker system: Dual Sonic Speakers. If you want to enhance the audio for your computer, the USB-powered stereo speakers may be able to meet your requirements. 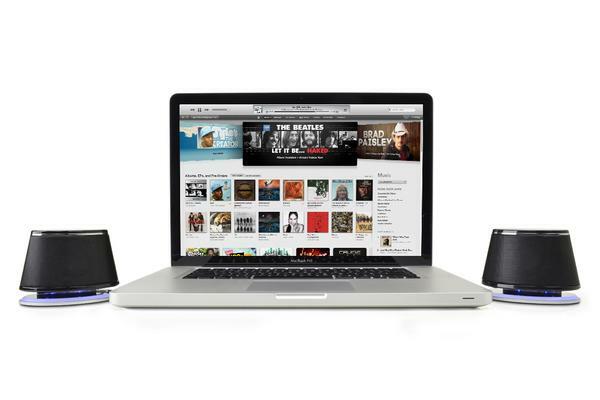 This is a powerful, USB-powered 2.0 channel speaker system, each speaker measures 3.9 x 3.6 x 2.5 inches. 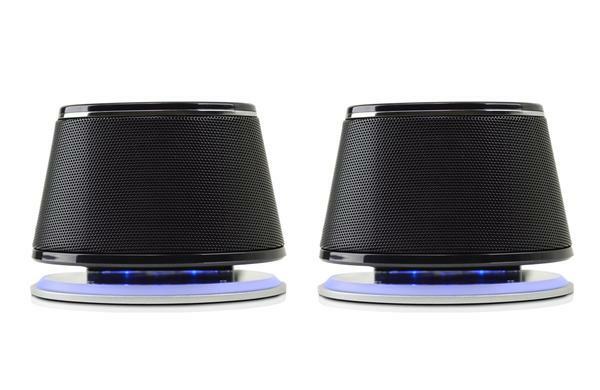 As we can see from the images, the stereo speaker system features compact and stylish design along with brushed metal finish with blue LED accents, and comes with two 3W speakers that feature Acoustic Air Spring technology in order to produce increased dynamic bass, mids and highs for your favorite music. 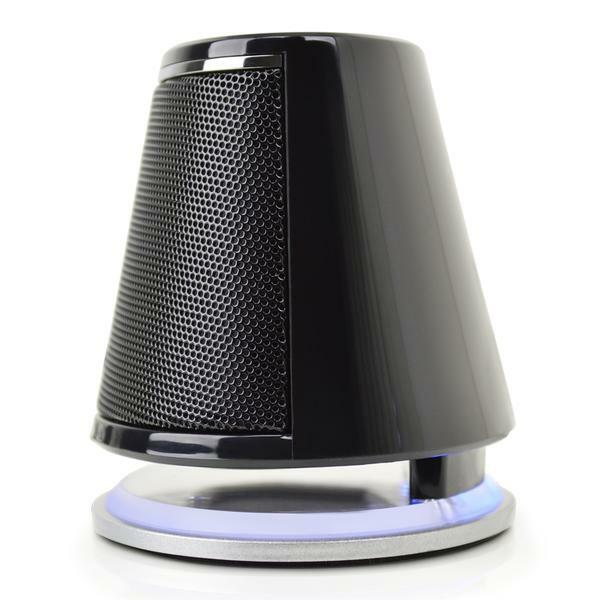 Apart from that, the plug-and-play feature allows you easily connect the speakers with your Mac or PC computer, and its padded feet keep the computer speakers steadily on your desk. Dual Sonic computer speaker system is priced at $24.99 USD. If you’re interested, jump to Satechi official site or Amazon for more details. Additionally, if you need other options you might like to check Edifier E10 Exclaim speaker system and more via “speaker system” tag..